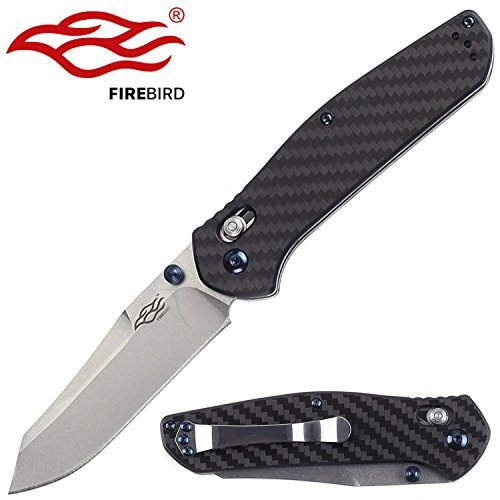 Knife Firebird F7562 by Ganzo G7562 Pocket Folding Hunting Knife Carbon Handle SS Blade by Firebird at Luxury Camp Jaisalmer. MPN: F7562-CF. Hurry! Limited time offer. Offer valid only while supplies last. Black blade color makes this knife very stylish and also helps to avoid adverse external factors. High-quality hard steel 440C is used for F7562-CF.